Matt Mikalatos: This is the exact speech I plan to give for #Thanksgiving. Only my rap album was called FlimFlamWhackyWhack. This is the exact speech I plan to give for #Thanksgiving. 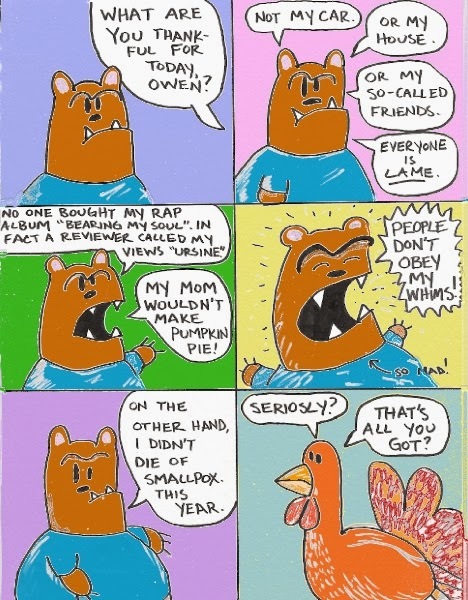 Only my rap album was called FlimFlamWhackyWhack. I think that turkey made a typo on purpose. Because Thanksgiving is not about u.